Sony's launched a smaller brother to accompany its high-end Xperia XZ Premium, and it comes in the shape of the Xperia XZs, which takes a lot of features from the larger XZ Premium but puts it into a more compact form. The XZs uses an older Qualcomm Snapdragon 820 chipset, which was used in phones that launched a year ago, which is a strange choice. However, the 5.2-inch Full HD display does make the phone more compact, if not pocket-sized… that’s still not a teeny display. In terms of other specs, they two XZ phones are rather similar in terms of packing Hi-Res Audio and the Motion Eye camera with 960fps slow motion recording. However, where the XZ Premium offers a mirrored finish that’s going to absorb more fingerprints than a crazed police computer, the XZ uses a matte glass effect to bring the same thing. Specs are sadly still light on the ground for the Sony Xperia XZs, so we don’t know the price or the size of the battery. However, the Xperia XZs release date has been set for April 2017, so it’s only a month or two left to wait. The final pair completing the MWC line-up are the Sony Xperia XA1 and Xperia XA1 Ultra. Both phones don’t use Qualcomm Snapdragon chipsets - instead plumping for octa-core Mediatek options at the heart. The terribly-named Xperia XA1 and XA1 Ultra will both land sporting Android 7 Nougat, and intriguingly take on Sony’s high-end camera sensor from last year, meaning these (hopefully) cheaper handsets will have a strong snapping smarts. That’s a 23MP sensor with an F2.0 lens on each, and the XA1 Ultra offers a 16MP selfie camera to really entice in the youth vote. In terms of size, the Xperia XA1 has a 5-inch 720p display, where the 6-inch XA1 Ultra goes for a Full HD 1080p screen. Both are wrapped into the body of the phone, giving a rather nice finish to proceedings. 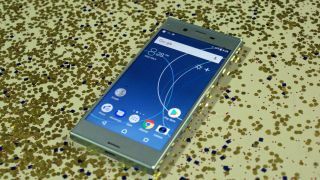 We’re, again, a little in the dark on the specs of these phones, but we do know the Xperia XA1 and XA1 Ultra release date has been set for spring 2017, so we’ll at least know how good and cheap they are before too long.